Gold dropped nearly $35 to settle toward $1,600 an ounce on Tuesday, marking its lowest settlement price since the beginning of this year. U.S. stocks and commodities were hit across the board, with losses in precious metals ranging from 1.4% to 3.9%. A rallying U.S. dollar, "risk off" investor attitude and renewed EU debt crisis concerns were among the factors which were attributed to the losses. "With stocks slumping and with treasuries rallying and risks generally rising … investors are withdrawing from the gold market, perhaps as margin calls are made, forcing investors to liquidate precisely when they don’t want to," Andrew Wilkinson, chief economic strategist at Miller Tabak & Co said in a note that was recounted on Reuters. Gold prices for June delivery settled down $34.60, or 2.1%, to $1,604.50 an ounce on the Comex in New York. "As we sit almost [midway] through the year and with events in the euro zone firmly in the driver’s seat as far as risk aversion goes, gold is sitting on an awkward precipice in so far as it has been on a winning streak each of the past 11 years," said Andrew Wilkinson, chief economic strategist at Miller Tabak & Co., in a note that was relayed on MarketWatch. "Yet now when the going arguably gets tougher, it can’t hold its own." The closing price was the lowest for gold since the start of the year when investors brought it up to $1,600.50 an ounce on January 3. Gold touched an intraday low of $1,595.50 and hit a high of $1,639.50. "We’re in a deflationary credit contraction situation globally," Bloomberg quoted James Dailey, who manages $215 million at TEAM Financial Asset Management LLC in Harrisburg, Pennsylvania. "The banking systems in China, Australia, and obviously much of Europe are under severe stress, and that’s creating this kind of deflationary contraction that’s starting to unfold. You’re starting to get a smell of panic in the air and shift towards bearishness in commodities broadly." Silver prices for July delivery fell 66.3 cents, or 2.2%, to $29.459 an ounce, ranging from $29.135 to $30.125. Platinum prices for July delivery declined $21.80, or 1.4%, to $1,508.30 an ounce, trading between $1,501.30 and $1,534.60. Palladium prices for June delivery dived $24.95, or 3.9%, to $622.85 an ounce, ranging from $620.40 to $651.60. One-ounce American Gold Eagle bullion coins advanced 3,500 Tuesday, lifting its sales total for May to 26,000. The best month for the 22-karat gold coins so far this year was in January at 84,500, followed by March at 57,500. Sales this month have already surpassed the totals in February and April. 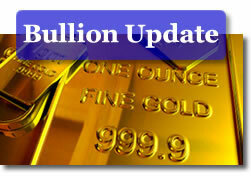 The following are the available daily, May and year-to-date bullion coin sales totals as reported by the U.S. Mint. All coin sales in the above tables are in number of coins, not in the amount of ounces sold. The U.S. Mint last updated five ounce bullion silver coins sold on Monday, April 9.